You Are Here: Home » Blog, Dawn P, Devotional » Salty or Salt-Free? Most health conscious adults today acknowledge that excessive salt in the diet is not optimal for good health. 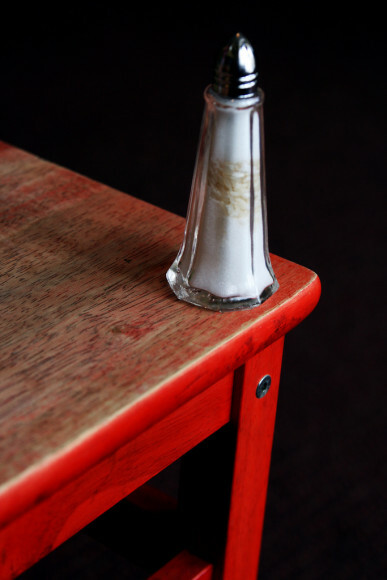 As a matter of fact too much salt in the diet increases health related risks and in the extreme can be associated with life threatening conditions. Some health conditions require minimal salt intake with the aim of a “salt-free” diet. How completely contrary to the Christian’s call to be Salty. As far as your spiritual life goes, you can consider saltiness to be an excellent measure of your effectiveness in the Kingdom. Jesus wants us to be salty, not salt-free followers. Jesus used the word salty with good reason. Salt has a specific impact on what it comes in contact with. It influences and preserves the food it seasons. It draws out impurities from within and enhances the flavor of a variety of foods. To be a salt-free Christian would be the worst possible state. It would mean that the grace and peace of our Lord has become flavorless to us. That the Cross be deemed meaningless, that we have no influence for the cause of the Savior at all, in our word, deed, thought life. We are to be grace based, Holy Spirit filled, followers of Jesus. As Salty Christians we glorify God by exalting the name of Jesus, striving for peace, unity and common ground while standing firmly for truth in a world ruled by deception and darkness. Let’s stay salty ourselves and shake, shake, shake our grace and truth wherever we are. Pass the salt, please! I like to use the hashtag #onwardchristiansoldier for my Social Media saltiness. I would love to have you join me! Thanks so much to everyone who shared a link! If you’ve never done a blog hop before they are super easy. Scroll to the bottom of the list and click the Add your link button. 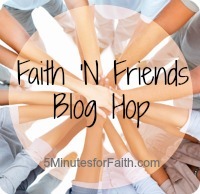 Add the Faith ‘N Friends button to your post or sidebar. 5 Responses to Salty or Salt-Free? I love how you say we aren’t to be snarky, sassy or super. You give us a good reminder on how we’re called to be salty. Thanks for your post! Dawn this post is just awesome & super salty girl! I love it. I am sharing it & using the hash tag you shared! Thank you my friend! I’ve been reading through Philippians and Paul’s words in 2:14-15 remind me of this other metaphor – saltiness. He says we will be like “stars” as opposed to a “crooked and depraved generation.” I think whenever we are Christ-like, we will stand out and hopefully the world will take notice! Great thoughts, Dawn and thanks to you and Deb for the linkup!